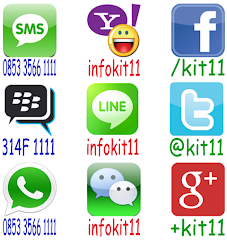 Thierry Daniel Henry (born 17 August 1977) is a French professional footballer. 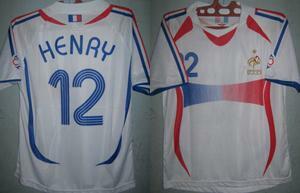 Henry has had a successful career with the France national team. His international career began in June 1997, when his good form for Monaco was rewarded with a call-up to the Under-20 French national team, where he played in the 1997 FIFA World Youth Championship alongside future teammates William Gallas and David Trézéguet. 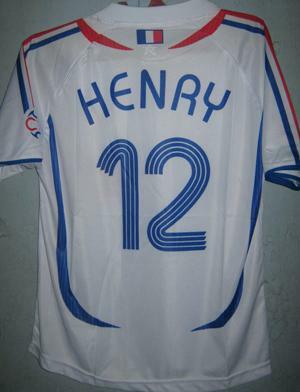 During the 2006 FIFA World Cup Henry remained as one of the automatic starters in the squad. He played as a lone striker, but despite an indifferent start to the tournament, became one of the top players of the World Cup. He scored three goals, including the winning goal from Zidane's free kick against defending champions Brazil. 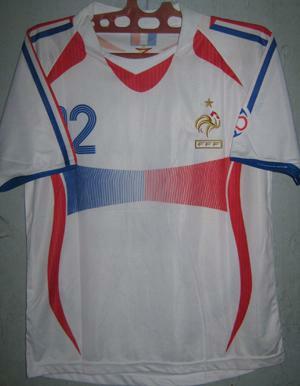 However, France subsequently lost to Italy on penalties (5–3) in the final. Henry did not take part in the penalty shootout, having been substituted in extra time after his legs had cramped. Henry was one of 10 nominees for the Golden Ball award for Player of the Tournament, an award which was ultimately presented to his teammate, Zidane and was named a starting striker on the 2006 FIFPro World XI team.